My hair journey continues and I was asked to try out another exciting tool to get that dream look. I think the majority of women want the type of hair they don’t have, so in my case I want long, thick modelesque glamour hair, so when asked to review a tool that can bring me closer, I happily accepted. 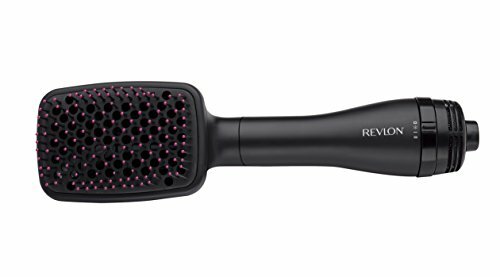 I received the Revlon Perfectionist 2in1 Dryer and for me it was great in the way that it really gave my hair shine and smoothness in the same time as drying, so three birds in one stone? However I found it challenging to use for a volume effect so I added some back combing and products and I made it happen anyway. But then I had this idea, my housemate has amazingly curly voluminous hair and she sometimes likes to straighten it but worries about breakage. So I thought this is a good styler for her to try, so she became my test subject. Her initial facial expression was “wow” which is always good, she then decided to get right to it and was very happy to help me try it out. She said it was really easy to use on her curly hair with no tangling which is great, she also added that at first she felt it was good but she didn’t see the same smoothness as I did, until a bit later., her hair almost needed to settle a bit before the true result showed. She said that this is definitely a tool she would use if she would be in a hurry, as this would save her having to dry her hair and then switch to her straightener. A few days past and she came back to me with more feedback. She also noticed that it worked amazing as a diffuser to intensify her curls if she used a different way. So that makes it four birds with one stone? 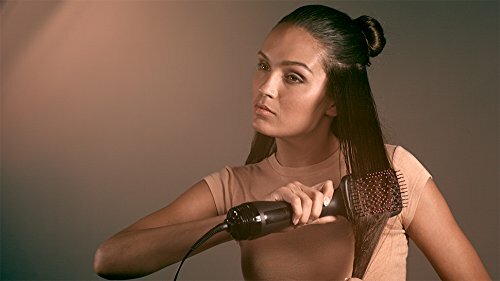 The best part about this styler to me is that it really gives you that salon effect when trying to dry the back of your head, you don’t have that struggle with the normal brush paired with hairdryer wishing you had an extra set of hands when trying it at home. It gives the smooth finish I really liked thanks to having a conditioning ionizer, and to help your hair stay that way you have styled it you have the choice to use a Cool Shot. As if that wasn’t enough, the little bristles have small massaging ball tips and I tell you it’s almost as good as the scalp massage at the hairdressers, and that is not to be underestimated. 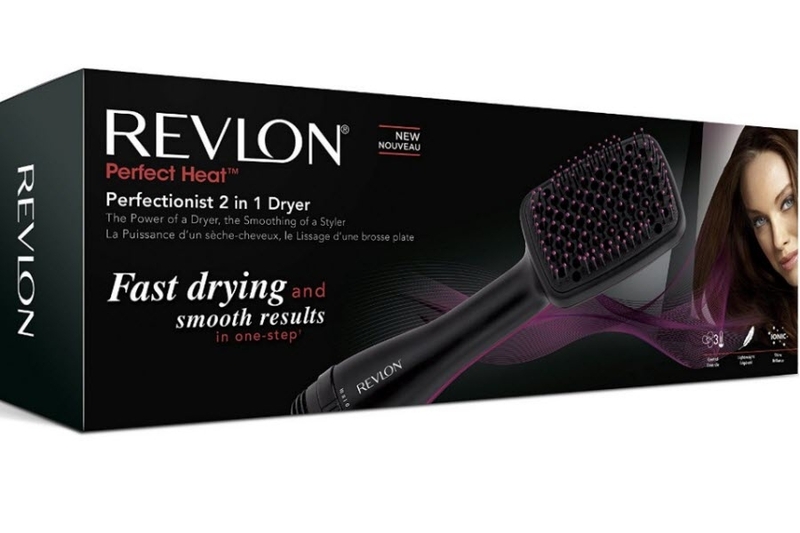 We both definitely recommend it and I have a feeling we might be fighting over this amazing 2in1 Dryer from Revlon which is available from many retailers and online.